Thread: 89 MK3 Cruise Control Lights? Just need a sanity check from someone on a couple of interior areas that are currently not lit up on my '89 Supra, but look like they should be. 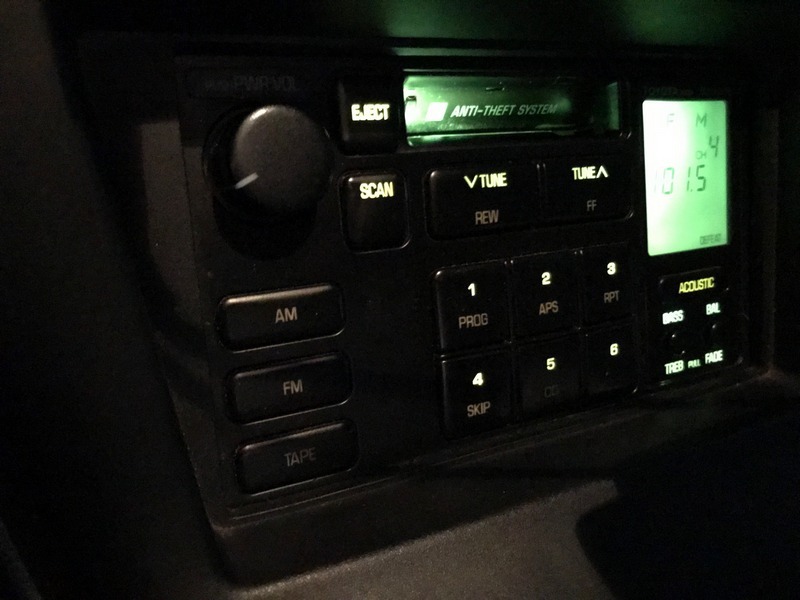 Everything on the ol' factory radio is lit up except the AM, FM, and TAPE buttons. I'd image they should be, but want to confirm, especially if there is a way to fix that. More importantly, should the cruise control buttons on the steering wheel be backlit? Can't find anything on this one. Would also like to fix this if they should be lit, otherwise they are basically invisible while driving at night and you'd need to turn on the dome light to see what you're doing with them. 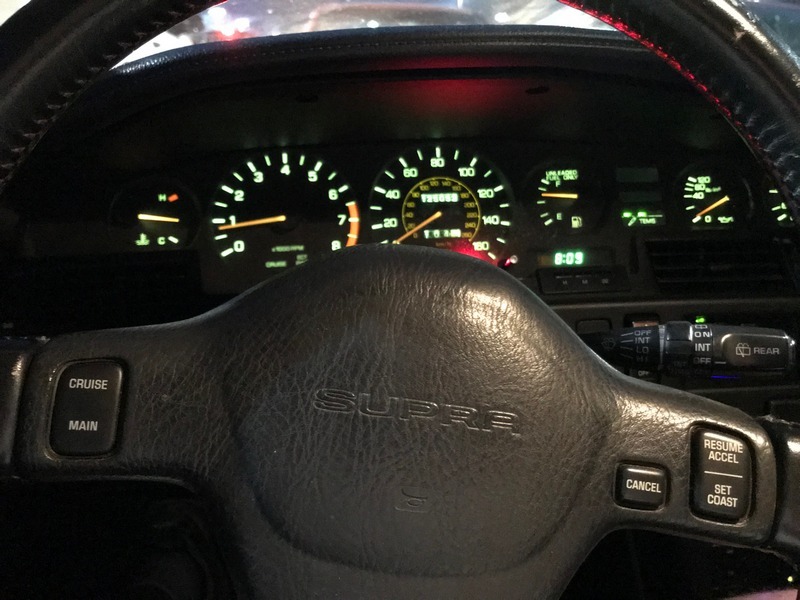 The steering wheel buttons on the 89 Supra steering wheel are just white paint on plain black switches (not lit). Also be careful when you use cleaners because some will take those white letters right off. On your style radio I would imagine that only the section that is selected would be lit but I personally never dealt with that style OEM radio. I am running one from a 97 Land Cruiser and the am/fm, tape and cd buttons do light up as well as the volume knob area too. Try tapping on it and it might light up on you. If you are checking all the bulbs I would also check all your instrument panel switches and make sure those are lit when the lights are on such as the emergency flasher switch, fog light switch and rear defrost switch. The steering wheel CC buttons looked just painted on to me as well, so not being backlit is what I feared, but thanks for confirming. I have been using the radio and tape player, but those buttons just don't seem to want to light up. Everything else on the car that should be lit that I'm aware of, seems to be working, except the driver-side key lock, which apparently is suppose to light up. Yes, that is a hidden gem of a light on the driverside door handle keyhole. I remember our old 87 Supra when it would light up green but after many door slams and over time that was just a common bulb to go out. You thinking about going led on that bulb? The keyhole light is not high on my list of things to tackle, but I will probably poke around there when I get around to working on the clunky power window. Not sure if if I'll do LED, but do you happen to know what the replacement bulb type is?